DESCRIPTION This is a Kingsmith Princess Model 2 storey home. This 4 bedroom home has 3 bedrooms up with a four piece bath and a 3 piece ensuite. The main floor has an open floor plan with an island and granite/quartz counter tops. Plenty of cupboards and counter space. The backyard is still a fair size and still hosts your 22x24 detached garage, with 220 wiring and 30amps, 9 foot ceiling and 8 foot door. The basement has partial development with a family room, forth bedroom and bathroom started, its been mudded and is just waiting for your finishing touches. Home for sale at 208 Willow Pa Cochrane, Alberts T3C 2N2. 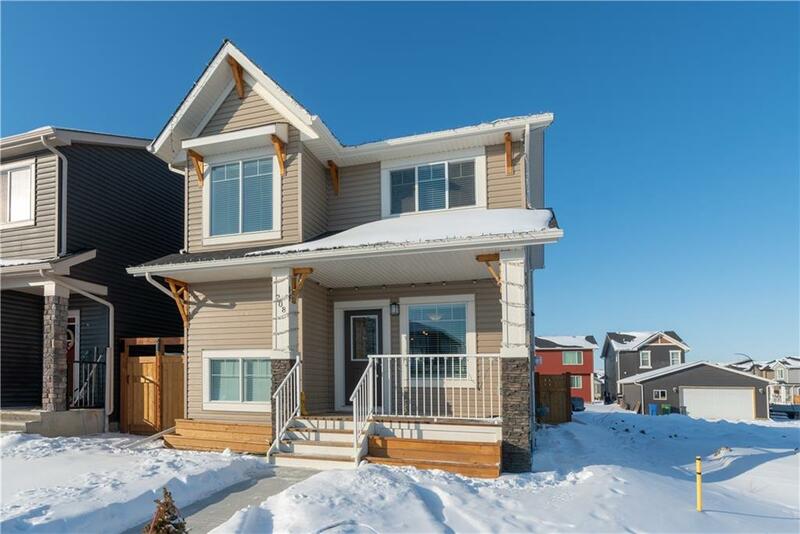 Description: The home at 208 Willow Pa Cochrane, Alberta T3C 2N2 with the MLS® Number C4228752 is currently listed at $395,000.